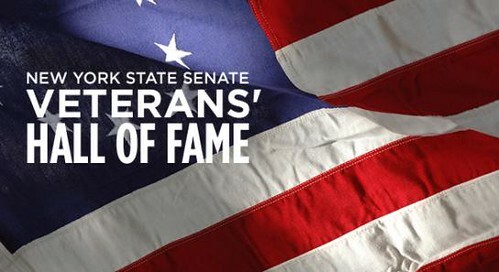 The New York State Senate Veterans’ Hall of Fame was created to honor and recognize outstanding veterans from the Empire State who have distinguished themselves both in military and civilian life. Their meritorious service to our nation deserves the special recognition that only a Hall of Fame can provide, as a fitting expression of our gratitude and admiration. 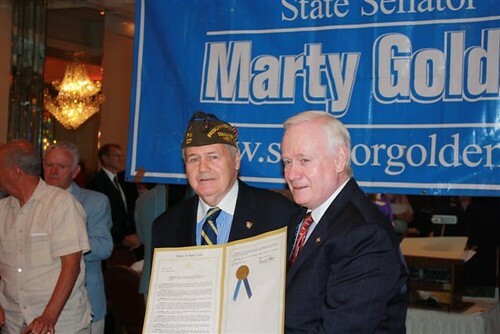 This year Corporal George Broadhead, President of the Gerritsen Beach Property Owners was inducted into the Hall of Fame who Senator Golden selected for induction into the New York State Senate Veterans Hall of Fame this year. 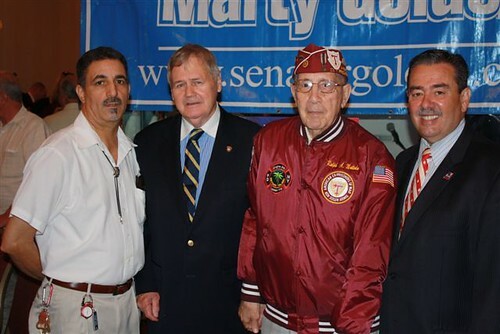 Corporal Broadhead, of Gerritsen Beach, served during the Korean War. He was awarded the Silver Star Medal, the Purple Heart Medal, the Combat Action Ribbon, the Naval Unit Citation and campaign awards. smitted to George R. Broadhead. Congratulations Mr. Broadhead and thank you for serving our country. to recive that prestigeous award. Congatulations Mr Broadhead.It is well deserved.I don’t know you very well but seeing how you conduct yourself at meetings you are a very decent and fair man.I salute you and thank you for serving our country. Congratulations George!!! For serving our Country and still serving our Community!!! WAY TO GO GEORGE…KUDDO’S. HOT DOGS FOR YOU ! Congratulations George, you were always an honorable person who did a lot for his country and community. Keep on going and God Bless you.